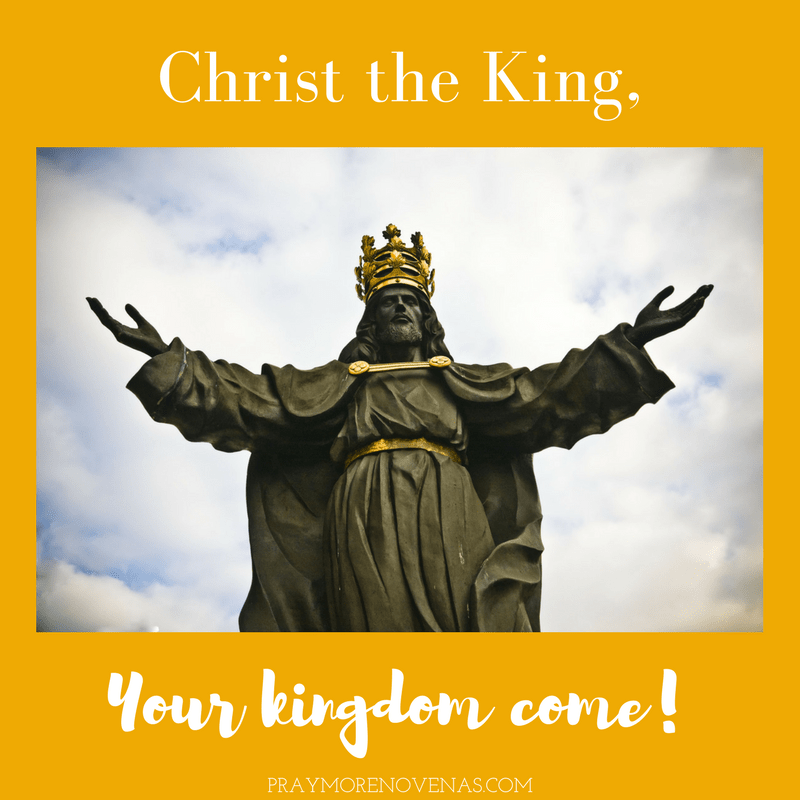 Here’s Day 6 of the Christ the King Novena! Please pray for my family. My husband and I are separated and I pray that he realizes the hurt and pain alcohol has done to our family. I pray for the healing of all families that suffer with addiction. For the Lord God to look my way and answer my deepest prayer for my family. Abba father Lord Jesus holy spirit I pray for our family that christ mybe born this season in our hearts.Lord JESUS turn my father s situation into a blessing and consecrate him into your heart and my older brother and my brother in law may they turn away from alcohol,go back to christand also be responsible husbands.May Mercy stop worshipping other gods and come back to you. Dear Jesus and Mary, please help me to heal of heart disease. Also, severe anxiety I am suffering right now. Also, please heal my husband of heart disease and diabetes. Please heal our young, adult son in his anxiety. Also, Jesus, please help him with his recurring sinus infections and current viral infection. Please heal all of us, Jesus and Mary, Spiritually, mentally, physically and emotionally. Pray my nephew and his new wife returns to the Catholic Faith/Church with a deeper belief more than ever. May they have a long, healthy, happy, holy and strong marriage.